A Tradie favie! Take the quick and easy brekky staple and give it a difference. In a small bowl mix KNORR Garde d'Or Hollandaise Sauce and KNORR American Chipotle BBQ Sauce GF together and set aside ready to use. 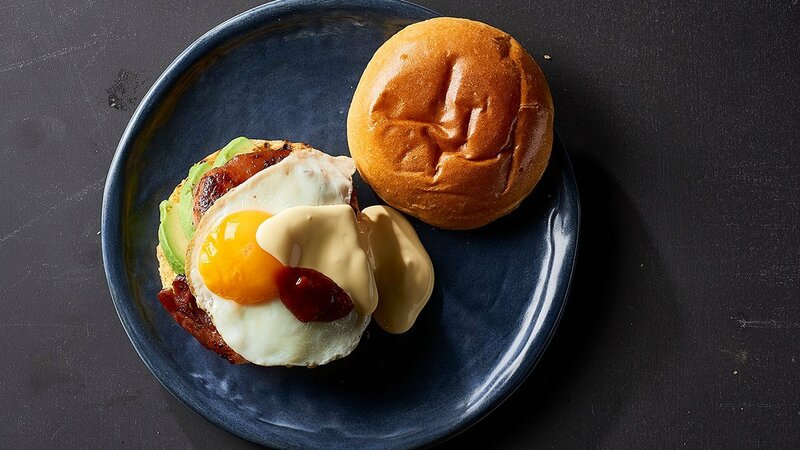 To assemble – take the base of the buns start with the avocado, bacon, egg and finish with the sauce mix.